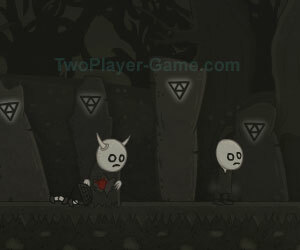 Flawed Dimension, 2 player games, Play Flawed Dimension Game at twoplayer-game.com. 2 player escape game.Two boys got lost in the forest and were taken to another dimension.Transformed into a hideous creature in a parallel universe they are nowLooking for a way home. Those 2 as 1 are now coming through a strange place.What was going to follow is definitely terrible. Two Player game modes: 1 player! 2 player! X to plant seed or shoot spear.